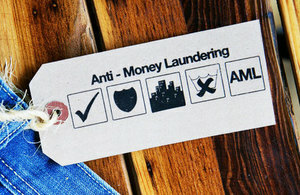 Anti-money laundering measures are changing on 26 June. On 26 June 2017 changes will be made to UK anti-money laundering measures to help prevent money laundering and terrorist financing. It’ll increase the transparency of who owns and controls companies in the UK. This legislation will make changes to current requirements about people with significant control (PSC) information. From 26 June PSC information won’t be updated on the confirmation statement (CS01). Instead, you’ll need to tell us on forms PSC01 to PSC09 whenever there’s a change. You’ll have 14 days to update your register and another 14 days to send the information to us. DTR5 companies are exempt from requirements to hold information about their PSC. From 26 June these exemptions will change, and you may need to provide PSC information. If your company’s traded on an EEA or Schedule 1 specified market, it’s still exempt. If your company isn’t exempt, you’ll need to send PSC information to us when changes take place. From 26 June active SLPs must identify their PSC and from 24 July send this information to us within 14 days. Any further PSC changes must be sent to us within 14 days of the change. Every year, you must confirm the details are correct. From 24 July, you need to give PSC information when registering a new SLP. From 26 June any SP, where all the partners are corporate bodies, need to identify their PSC. From 24 July, they must register this PSC information with us. You must tell us of changes within 14 days and confirm this information every year on a confirmation statement. There will be changes to the protection regime. When SPs and SLPs provide us with PSC information, the protection regime becomes available to them. You can apply for a restriction so your information isn’t disclosed on the public register. Only specified public authorities can access this information at the moment for company types in scope of PSC requirements. The new anti-money laundering legislation extends this to credit and financial institutions, as these carry out customer due diligence. Where appropriate, we’ll make protected PSC information available to them. BEIS have updated their PSC guidance.